The AEIS stands for the acronym admission exercise for international students. Our AEIS Tuition aims to provide uniform centralised education for the students so that they can be admitted into government schools. It allows students to gain successful admission into any mainstream primary schools and secondary schools. In our AEIS tuition classes, students are prepared to face questions in English language, reasoning ability, and numerical ability. The AEIS tuition provides good opportunity for students wishing to join Singapore's government school. Students trained at the centre have highest chances of getting admission in various schools as they are trained and prepared to face the admission tests. Why should your child sit for AEIS? Taking AEIS examination is the only way to get your foreign child enrolled into a local government school. If your child does not sit for the AEIS examination, there is no other way to gain entry into the government school. THere are many benefits for getting your child admitted into a local school instead of a private school. 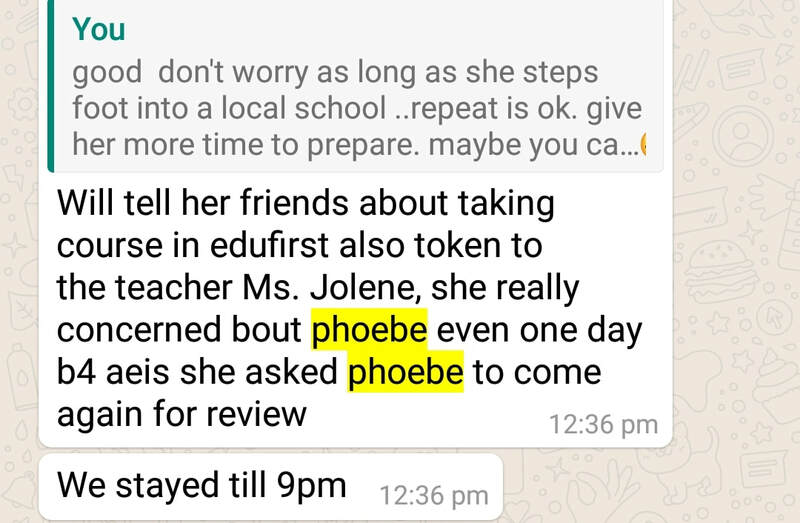 This is the reason why it is important to get AEIS tuition for your child. Why is it important to get your child enrolled into a local MOE school? ​Why does your child need AEIS Tuition? Getting admitted in local government schools is not easy at all. Sending your child for AEIS tuition ensures that your child is well prepared for the AEIS examination. It is a worthy investment. Afterall, you get to save so much of school fees if your child eventually enters a local government school instead of sending him/her to a private school which charges sky-high fees. ​The AEIS examination is very competitive with so many foreigners fighting for a limited number of spots. To pass the AEIS examination with flying colours, you definitely need AEIS tuition to help to boost your chances and your examination scores. Taking AEIS tuition will prepare your child sufficiently for the examination and increase their chances of being enrolled into a local government school. ​Till date, there is little information provided on AEIS examination simply because there are very limited resources available online and offline. Hence, it is important to find good AEIS tuition for your child. Our qualified AEIS tuition teachers can help your child to familiarise with the format and syllbus of the AEIS examination. Sending your child for AEIS preparatory course and AEIS tuition will pave the way for your child's success! Since 2010, we have been offering AEIS/S-AEIS tuition to many students from China, Myanmar, Brunei, Malaysia, India, indonesia, Pakistan, Hongkong and Vietnam. Many of them are been offered successful placements in our local schools. Our group sizes are small, with a maximum of only 6 in a class. We are familiar with the syllabus requirements and the type of questions that would be tested during the examination. Aditya P2 (from India) took the AEIS preparatory class with EduFirst. He passed on his first attempt and he is studying at Xishan Primary School now. 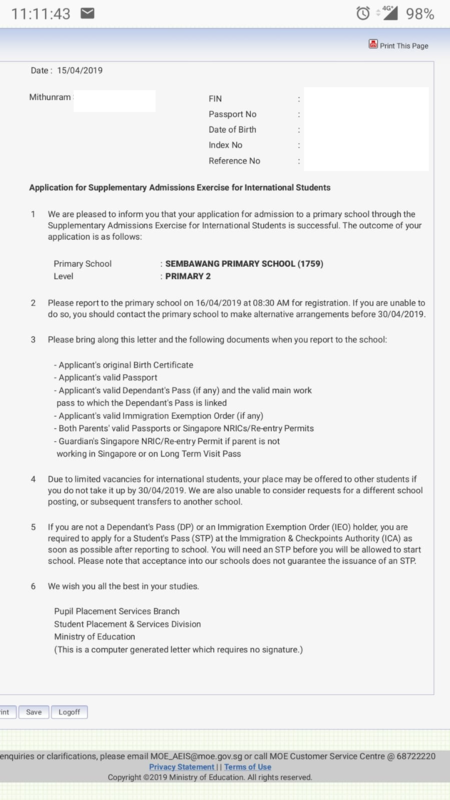 Pin, Sec 2, (from Brunei) successfully gained entry into Broadrick Secondary School. However she chose to give up her placement due to family issues. Nonetheless, it was her first attempt and she passed! Both Tristan (P4) and Tisha (P2), from Malaysia, passed the exam on first attempt successfully. They are both studying at Pasir Ris Primary School now. Giane took her AEIS exam in Sep 2018. She passed successfully on her first attempt! She is studying at Sengkang Primary School. Margaret, P2 (from the Philippines) passed her exam and is posted to Yio Chu Kang Primary School. Phoebe, P3 (From Indonesia) passed her AEIS on her 2nd attempt! We are all so thrilled! Keane passed his Feb 2019 S-AEIS successfully! Leave your details in the enquiry form below or give us a call at 9106-7716 or WhatsApp us at 91067716 to find out more about our AEIS preparatory course!